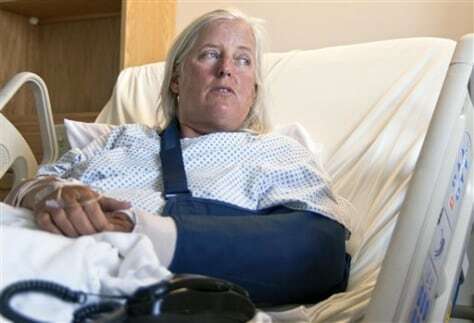 Deb Freele, 58, of London, Ontario, Canada recovers at West Park Hospital in Cody, Wyo. on Thursday. She was one of three people attacked by a bear at Soda Butte Campground near Cooke City, Mont.